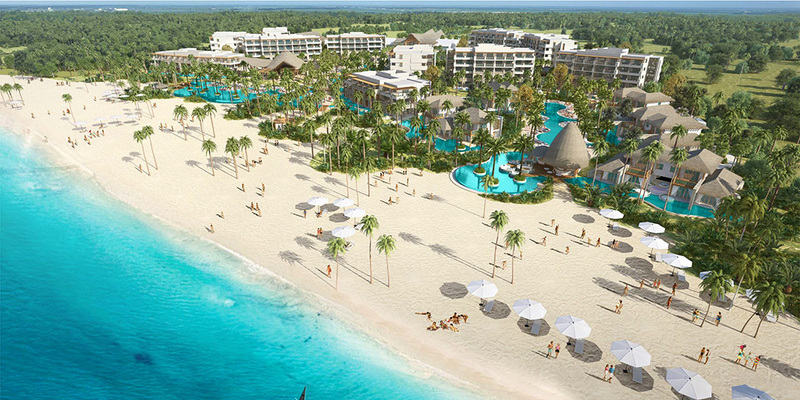 Secrets Cap Cana Resort & Spa is a new adults-only, all-inclusive resort located in the gated community of Cap Cana. Cap Cana is part of Punta Cana, on the east coast of the Dominican Republic. Secrets Cap Cana features 457 suites with 24-hour room service, balconies or patios, and mini-bars that are refreshed daily. Swim-out suites are available, with private patios and direct access to the pool. Secrets Cap Cana has eight restaurants – one buffet and seven à la carte restaurants (two of which are located on the beach) – where reservations are never required. Options include Italian, Mexican, Asian, seafood, and more. The resort has an infinity pool, daily activities and nightly entertainment, and water sports. Secrets Cap Cana is located 20 minutes from Punta Cana International Airport (PUJ). For more information, visit Secrets Cap Cana’s website.